Preheat the oven to 325°F. 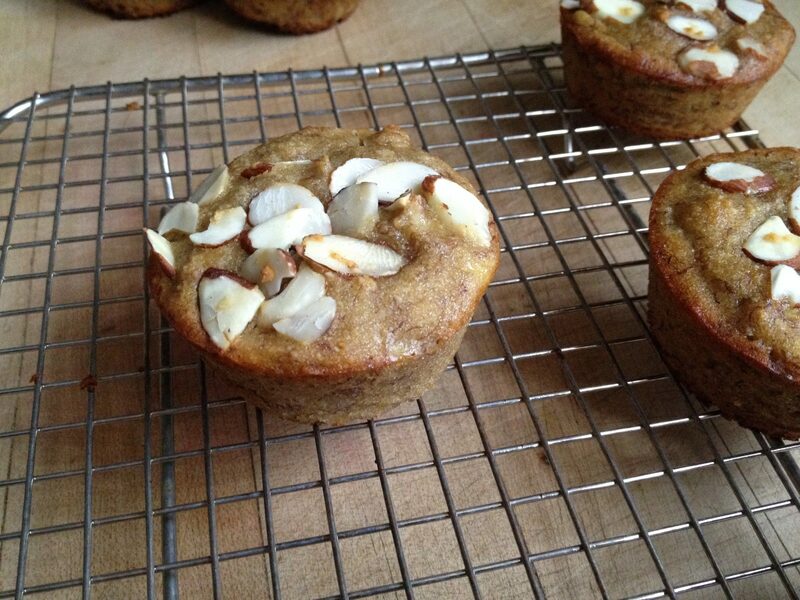 Grease muffin tins with coconut oil and set aside. Mash bananas in the bottom of a large bowl. Add eggs and whisk together. Add honey and coconut oil and whisk again. Stir in vanilla. Add almond flour, baking soda, and sea salt and mix again. Spoon batter into muffin tins, filling the muffin cups about ¾ full or more. Sprinkle sliced almonds on top of batter and press down slightly. Bake for 25 minutes or until a toothpick inserted into the center comes out clean. Let cool in the pan for 5-10 minutes and then enjoy!